Room 5 has been lucky enough to take part in a writing swap through School Kit . We were sent an amazing package full of goodies. One of the tasks was to fill out a cool poster with bits and pieces about us and our cool school. Some of the tasks were a little tricky for the Room 5 students, so we adapted them. 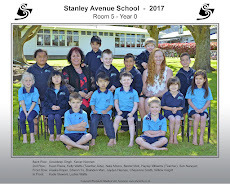 The courier has picked up our package and set it to Kumeroa - Hopelands School in Palmerston North, in return we will get a package with the poster cards all filled out with amazing writing and the poster sheet filled with information about them. Check out next week's blog to see what we receive in the mail! !